One of the bags that I was eyeing for was belt bags. Back then, I was a fan of buying small bags to limit myself from carrying the house. I wanted a hand's free option that is very easy on my back. 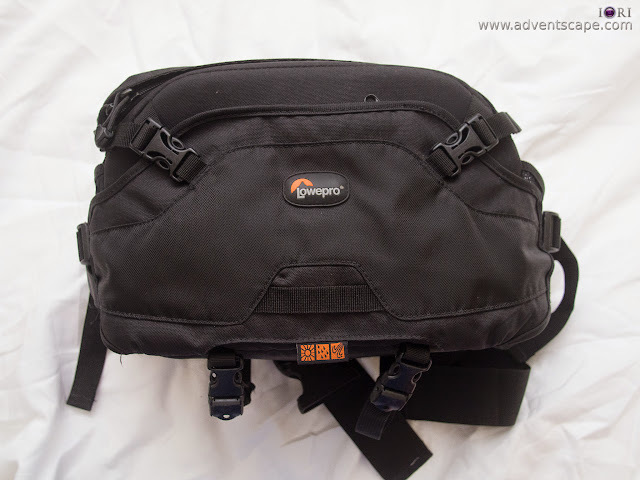 I bought a Lowepro Inverse 200 AW when I got the chance and this is my review. 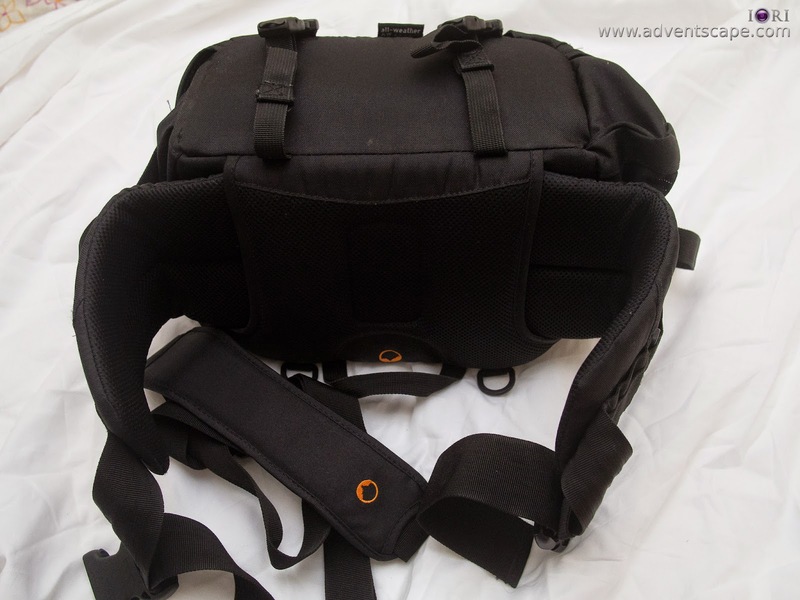 Belt bags are not for everyone, unlike backpacks that almost all photographers have (or have used before). This is a personal choice of the photographer. It depends on what you want and what you want to put inside. There's only a few items but they are vital. There's not much bells and whistles so it's easy to lug or pick up whenever you're ready to shoot. It's pretty much straightforward. What you see is what you get. The shoulder strap makes this belt bag become a shoulder bag. I personally didn't use this as I wanted this to be a belt bag. The shoulder strap is pretty sturdy for what it should be carrying. The rain coat is located at the inside pocket in front of the belt bag. It's natively attached to the bag so you won't lose it. This is unlike most backpacks that the rain coat is separate from the bag. It protects the whole bag from rain. If you inspect this, you won't notice that the rain coat is inside the bag. There are 4 dividers. I only used 2 (as shown in the photo). Sometimes I use none. The belt bag is already small to begin with. If you put all 4 dividers, I don't see much room there. The 2 dividers that I put is mainly to separate the body, a lens and some other accessories. If you attach a lens to the camera (depending on how big the camera body and lens are), then you might not use any dividers at all. This belt bag is really compact and has a limited capacity. It's more so for smaller cameras that have smaller items to put inside. It maybe perfect for mirrorless and smaller cameras. The bag itself is well cushioned. There was a time that I have a Nikon D700 + 24-70mm F/2.8 inside and it dropped. Everything inside was ok. Good thing the lens didn't break. In all fairness, I haven't tested if it's water resistant as I always go outside on a sunny day. The bag has 2 open side pockets. They can be used to put in small items that you need to pull out quickly. The 2 open side pockets are net as well, so you can't put in coins or other smaller objects. 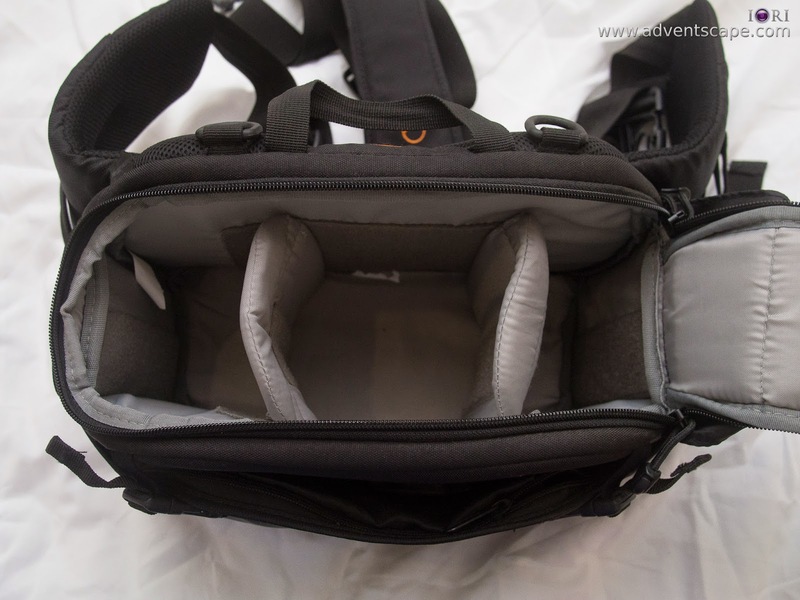 The front of the bag also is a small compartment. You can put small items there that you can't put in the 2 open side pockets. Since it has limited capacity, you always need to decide which items to bring. If you have many items, it's really a headache. But if you have all the items safely kept inside, that's fine as well. I just find it very limiting in space most of the time. The belt does not release.